In the last post, I talked about casting the class play. 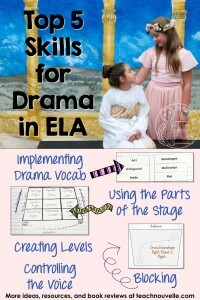 Now, I want to talk about developing basic drama skills. This will encourage engagement from all students, all the time. This is something that I struggled with in the beginning, but I developed some tools to help my students. If you’re like me, you LOVE the idea students taking ownership of the class play, but you’re not sure how to help that happen without chaos breaking loose. They need to learn drama, too, especially if they’ve never been in a drama class or a school play. How can you make this happen? 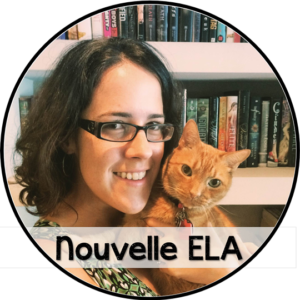 I structure the early practices of the class play with a series of mini-lessons and quizzes to build a common vocabulary and some basic competences. These fit into my goals as an English teacher, too, because they help students analyze plays as well as perform them. These mini-lessons and quizzes take about 10-15 minutes and they’re perfect for the first couple of weeks while students learn their lines. Drama Terms (monologue, scene, fourth wall, aside, etc.) – We go over these in class and practice some examples. You can find the list and quiz here, at my TpT store. Parts of the Stage – We cover the basic vocabulary (upstage, downstage, etc.) and do some “Simon Says” with stage directions. Here’s the PPT and interactive notebook plan for this mini-lesson. Blocking Notations – I make a list of 10-15 blocking notations that I want us to use in our rehearsals, including X (cross), DC/UC (down center/up center), and SL/SR (Stage Left/Stage Right). Students take a short quiz that includes “translating” both ways – notations to words and words to notations. Voice – This is an improvisation mini-lesson in which students adapt different voices and have us guess who they’re playing. I had students pick characters from our play, but they couldn’t choose their own. You can also design a mini-lesson with character stereotypes. Also, I take my class into the auditorium on this day and the rest of us sit in the back. It’s good projection practice. Levels – I teach students about the different levels of stage picture (Standing, Sitting, Kneeling, Lying Down, etc.) and we analyze a few movie stills to see how levels add to the story. Students are able to analyze power dynamics, intentions, and general visual interest. The sooner your students get “off book”, the better your practices will run. 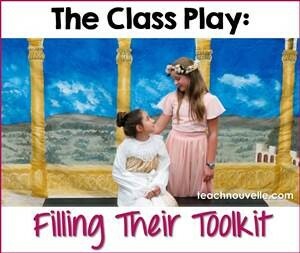 This is a class play, so part of students’ daily homework will be to memorize lines. I share ways to memorize lines with my students, or better yet, I let the drama kids in the class share. Students can write out all of their lines, record themselves saying their lines, or just read through them a lot, but they’ve got to move those words from recognition to memory. As soon as that happens, they activate synapses and the brain magic happens. The way to hold their feet to the fire is a Lines Test. 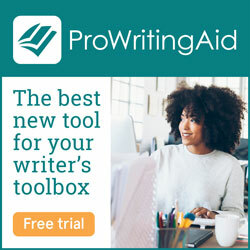 I give the minor characters a week, the mid-range characters two weeks, and the major characters two and a half weeks to memorize their lines. As the students are practicing, pull them out one or two at a time (because you’ve got understudies, right?) and have them run a few random scenes. Don’t spend more than five minutes on this, and don’t take it too seriously – if they mess up a word or two, make them keep going. Students will “get” that they need to work harder on memorizing, and acting is all about keeping going. The last five minutes of every practice, my students fill out a Practice Log. This is meant to be a reflective space for them on their individual work, but also the work of the class. The most important aspect of this is Goal Setting, in which they set concrete goals (memorize my second monologue, block the scene with Hermia) for the next practice. 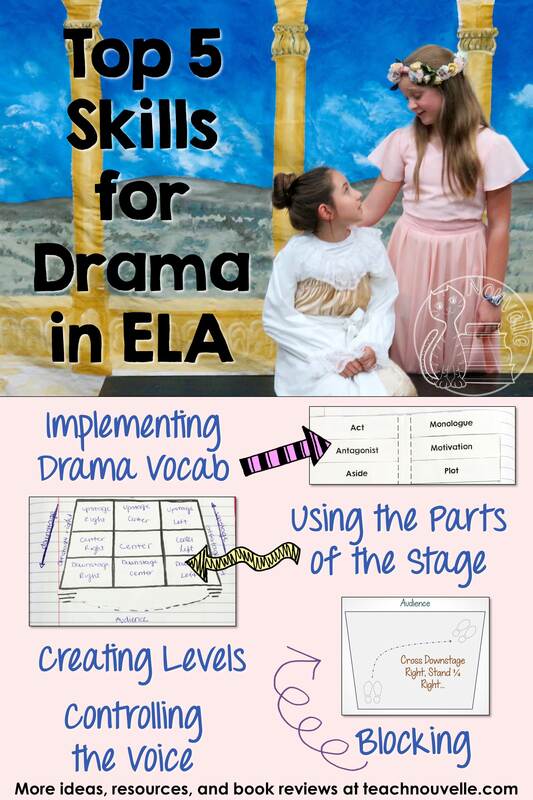 Check out the next post in this series, Evaluating Soft Skills in Drama.